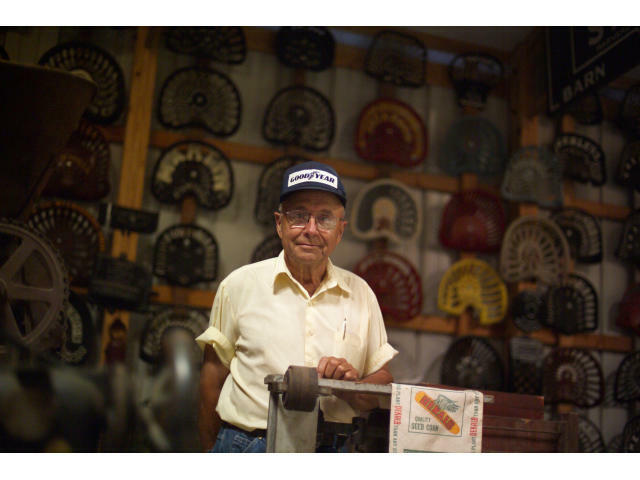 Local farmer Warren Paulson stands with his cast iron seats. There are more than 400 and no two are alike. 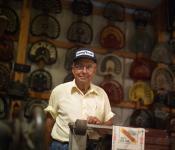 Paulson collects antique farm memorabilia.